‘Fantastic Beasts: The Crimes of Grindelwald’ star Ezra Miller made a name for himself as one of the most exciting stars on a red carpet in 2018. From semi-simple, fashionable styles to grandiose, elaborate looks, the actor always managed to leave a good impression. And with politics dominating the news and depressing us all (US-Trump and UK-Brexit), it felt like Ezra had come along at the right time to brighten up our lives. 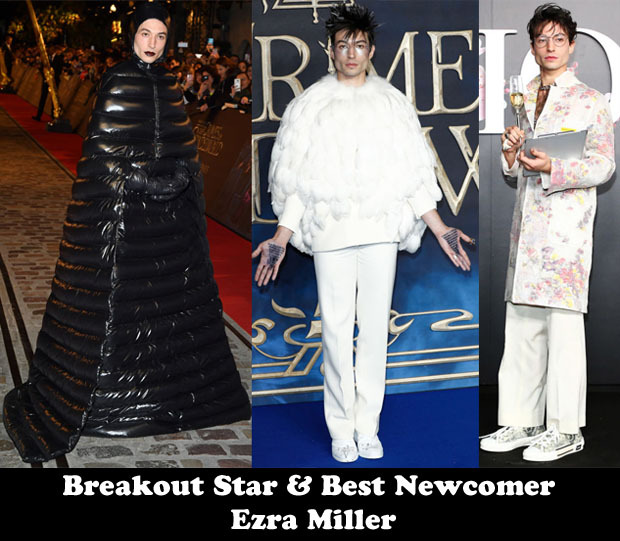 Brilliantly bonkers, gender fluid, fearless and taking experimental fashion to a new level – I know I can’t wait to see more from Ezra in 2019. I’m checking his IMDB to see what’s next.